Plans to amend Egypt’s Constitution — including changes that would extend President Abdel Fattah al-Sisi’s term in office — are underway, with changes to be introduced in the first half of 2019, according to three different sources in the president’s office, the General Intelligence Service (GIS) and Parliament who have attended private meetings within various state bodies in recent months. The amendments, said to be Sisi’s first major endeavor in the coming year, will see him retain his position as Egypt’s president beyond 2022, which should mark the end of his second and final term in office, according to the current Constitution. 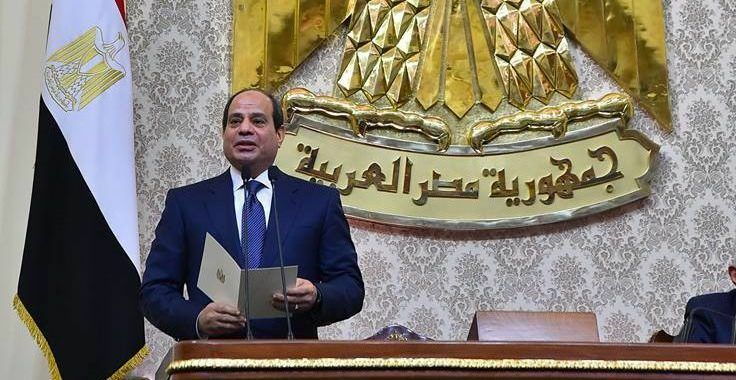 Sisi swore an oath to respect the current constitutional term limit twice, once when he became president in June 2014, and again when he was reelected in June 2018. Since then, there have been widespread expectations that the Constitution will be amended with the aim of undermining the separation of powers of state institutions and, ultimately, restoring these powers, which had been bestowed to Parliament in 2014, back into the hands of president. Meetings have been held on a nearly daily basis at the GIS headquarters between GIS officials and the president’s office in order to finalize the amendments and the date of the referendum through which they will be passed, according to several sources who separately confirmed the meetings to Mada Masr. The same sources say that Mahmoud al-Sisi, the president’s son — who currently holds a senior position within the GIS — is the person heading these meetings, under the supervision of General GIS head Abbas Kamel, who took part in several of the meetings himself. The sources add that a number of suggestions have been agreed upon already, such as increasing the duration of the president’s term to six years instead of four, while keeping the term limit at two. The term extensions are to be applied retroactively, which would keep al-Sisi in office for a total of twelve years, or until 2026. Meanwhile, the number of MPs in Parliament will be reduced to 350, instead of the current 595, and the Shura Council — the upper chamber of Parliament that was dissolved by the 2014 Constitution — will be reinstated to share legislative power with the House of Representatives. Other amendments limit the authority of Parliament, which is currently empowered to approve Cabinet formations and to withdraw confidence from the government, as well as to prosecute and impeach a sitting president. The current plan would also see a constitutional article regarding transitional justice, which was drafted in the wake of Islamist President Mohamed Morsi’s ouster, removed. Article 241 states that Parliament must draft a transitional justice law aimed at truth-seeking and accountability, as well as propose frameworks for national reconciliation. Additionally, during a recent meeting at the Ettehadiya Presidential Palace, one of the attendees — who were comprised of political operatives and legal scholars with close ties to the government, as well as representatives of various security bodies — suggested a controversial amendment, which has not yet been approved, according to a source within the president’s office who spoke to Mada Masr on condition of anonymity. The amendment would introduce an interim provision in the Constitution to establish a new body titled the “High Council for the Protection of the Constitution.” The body would have far-reaching powers to “protect the identity” of the state and safeguard national security in case a new political leadership was to take power, the source adds. According to the source, the attendee justified the suggestion as way to circumvent any potential repeat of Morsi’s election in 2012, whereby a president from outside the state apparatus’ political circles comes to power, or in case a parliament less compliant to the president is elected. The suggested article was made with a crucial proposition: Sisi would be appointed to head the council for life, whether he is the sitting president or not. The meeting attendee who proposed the article justified this as a “recognition of [Sisi’s] role in protecting the state and because he is the most capable individual of performing this task,” according to the source in the president’s office. As far as a timeframe is concerned, an MP with close knowledge of the amendment plans tells Mada Masr that the head of the parliamentary coalition he belongs to had attended one of the meetings in the GIS headquarters, where he was informed that the amendments are scheduled to reach Parliament by next March, to be finalized and put to a public referendum in June 2019. The MP reports that one area of debate at a recent meeting revolved around the necessity of calling for early elections after the Constitution is amended. Opinions were split between those who argued it would be necessary to call for early parliamentary and presidential elections — given that the amendments retroactively extend the president’s term and alter presidential and parliamentary powers — and those who supported maintaining the current schedule of holding presidential elections in 2022 and parliamentary elections in 2020. For the committee member, Abu Shaqqa’s call was more like a statement of what was to happen, and conveyed an implicit threat that objections from any of the committee’s members would be grounds to unleash intense and direct media attacks on them. Others in the committee who might oppose the amendments were given the same tacit warning as well, he was told. Some of the committee members, according to him, expressed their willingness to announce their “understanding” for amending the Constitution in light of Egypt’s current political situation. Others, however, said they would independently express their reservations. The amendments, he tells Mada Masr, will “take Egypt back to the worst aspects of [Hosni] Mubarak’s regime,” who remained president for 30 consecutive years, from when he assumed office following the assassination of former President Anwar al-Sadat in October 1981 until he was forced to step down in February 2011 after 18 days of mass uprisings across the country called for his removal. Amendments to the Constitution, the committee member adds, is a “laughable” matter, because most aspects of the Constitution — including issues related to the state budget, political freedoms and the separation of powers — have all but been ignored. Abu Shaqqa had hinted to some of those he spoke to over the last year that he intended to propose a draft of constitutional amendments during the current parliamentary session — which runs from October 2018 to the summer of next year — to address what he described as a “state of lenience” under which the 2014 Constitution was drafted, a reference to the political turbulence in the summer of 2013 following Morsi’s ouster. Abu Shaqqa did not respond to multiple requests for comment from Mada Masr. Another member of the committee tasked with drafting the 2014 Constitution confirms that he was told there would be “calls from Parliament and the public to amend the Constitution, and perhaps there will even be a petition calling for Sisi to stay in power,” similar to the vocal demands for Sisi to run for president in 2013 and 2014 that helped portray his candidacy as a response to popular demands. Moreover, a parliamentarian who spoke to Mada Masr this summer says his party received requests to mobilize its supporters across governorates to pave the way for the amendments to pass unhindered. Once the drafted amendments are presented to Parliament — in accordance with Article 226 of the Constitution, which gives the president or one fifth of Parliament the right to request an amendment of an article or several articles of the Constitution — support for the changes will be drummed up through the media. According to a senior media personality with close ties to the government, who spoke on condition of anonymity, MPs and political analysts supporting the amendments will then play their role as vocal supporters of the changes on airwaves and in newspapers. Meanwhile, security sources conveyed to a senior political party leader, who spoke to Mada Masr, that the security apparatus would not tolerate dissent on any scale regarding the amendments. With the wide-reaching arrest campaigns of civilian public figures from across the political spectrum, the groundwork to pass the amendments has been laid, says the party leader. “There is no one in political circles with willing or able to oppose [the regime]. 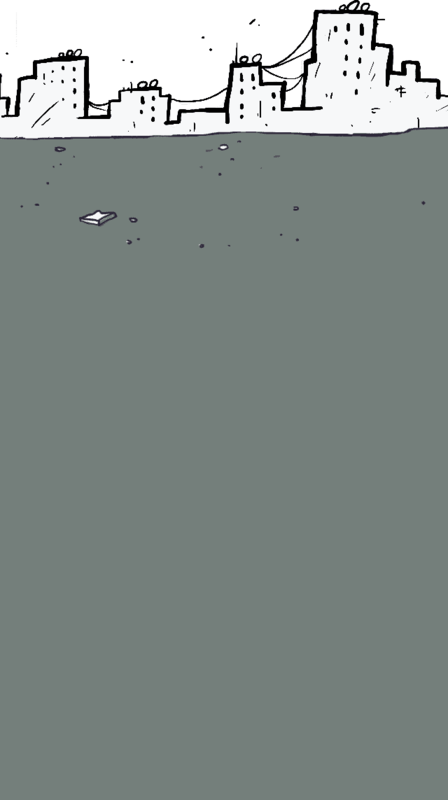 These amendments will pass,” he adds. In addition to local support, international acceptance of the amendments must also to be secured. Sources in the president’s office, the GIS and Parliament say there is a desire on the government’s part to approve these amendments before the last year of US President Donald Trump’s first term in office begins, as his strong support of Sisi will help guarantee that the changes will pass without sparking an international outcry. A similar acquiescence to the amendments is expected in European capitals, according to multiple European diplomats in Cairo. This is based on a widely held belief in many European capitals that Egyptians, many of whom asked for military intervention against an elected president one year into his term in the summer of 2013, were not necessarily concerned with democracy in the immediate term. Some Western diplomats in Cairo relay their Israeli counterparts’ thoughts as well. “Israel will be happy to see Sisi stay in power, because they view him a strongman who deals with Israel very seriously and directly, even if he does not maintain a public relationship with Israel like Mubarak did,” one diplomat says, an opinion that, beyond the Israeli government, is reportedly shared by the pro-Israeli lobby in DC. Meanwhile, the Egyptian government official says that Cairo still depends on regional allies who supported replacing the elected pro-Brotherhood government with a military-appointed one in the summer of 2013, especially the UAE and Saudi Arabia. He also adds that there are “instructions from sovereign bodies” that Egyptian missions abroad emphasize in their meetings that Egypt is going through an important security battle and that any change in domestic leadership could have significant geopolitical consequences regionally. Meanwhile, a newspaper editor says that a discussion was currently underway at his outlet and at other media institutions regarding how to deal with the amendments when they are announced. “We understood from government officials, who call us every now and then to express opinions about what we publish, that it is a matter of timing and political maneuvering. Some arrangements are internal and related to economic developments, because it seems that Sisi wants to push through the next batch of austerity measures before proposing the amendments. Others are external, and have to do with the regional situation and the priorities of important capitals,” he says. While Western diplomats in Cairo who spoke to Mada Masr don’t anticipate unsympathetic international responses to the amendments, they are concerned about the extent to which Egyptians will want to see Sisi stay in power, particularly in light of what they perceive as rising dissatisfaction with rapid economic reforms, including subsidy cuts, price hikes and the liberalization of the currency. Is Sisi’s dismissal of Administrative Control Authority head Mohamed Irfan legal?